DAVAO CITY: The Mindanao Development Authority (MinDA) said the region will lead the push for developing the halal agenda in the country, especially after the Implementing Rules and Regulation (IRR) of Republic Act 10817 or the “Philippine Halal Export Development and Promotion Act of 2016” were signed last month. 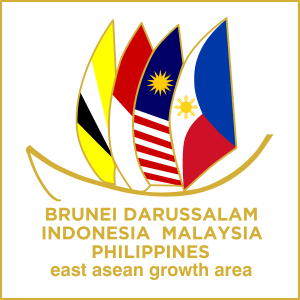 Mindanao is in a strategic position to be the halal production hub of the country given its established links to sub-regional groups, including the Brunei Darussalam Indonesia Malaysia and Philippines East Asean Growth Area (BIMP-EAGA), MinDA said in a statement. MinDA is a member of the Philippine Halal Export Board that is tasked to undertake joint and harmonized efforts in ensuring the global competitiveness of the country’s Halal products as stipulated in RA 10817. “This is a huge feat for us who are pushing for Halal industry development. In fact, our neighbors from the sub-region can serve as our big brothers in terms of Halal development, and we can take advantage of our closer and renewed ties with them to learn from their respective best practices,” said MinDA Chairman Datu Abul Khayr Alonto, who is also the Philippine signing minister for BIMP-EAGA. He welcomed the commitment of President Rodrigo Duterte to promote BIMP-EAGA by considering it as one of the platforms to accelerate the development and integration of Mindanao into the Association of Southeast Asian Nations (Asean) Economic Community. “As the major food supplier of the country and the island region that is home to the country’s largest Muslim population, Mindanao is certainly a step ahead in terms of Halal development,” Alonto noted. Last year, MinDA spearheaded the International Halal Conference with key partners and stakeholders. The conference gave key players in the Halal industry perspectives on research and development to help them promote Halal products in the local market and abroad. Alonto said the newly approved IRR of RA 10817 will guide Halal industry players in making products that can compete in international markets. The Halal Export Board is chaired by the Department of Trade and Industry. Its members include the National Commission on Muslim Filipinos, Department of Health, Department of Science and Technology, Department of Foreign Affairs, Department of Tourism, Bangko Sentral ng Pilipinas, and MinDA.